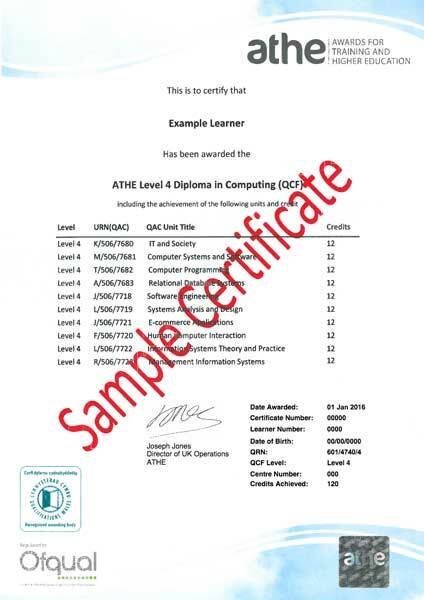 The Level 4 Diploma in Computing is a 120 credit size qualification. Learners must achieve 120 credits by completing all mandatory units. It provides the core knowledge, understanding and skills to support learners planning to further their studies in computing. It is equivalent size and level to the first year of a degree programme in computing.